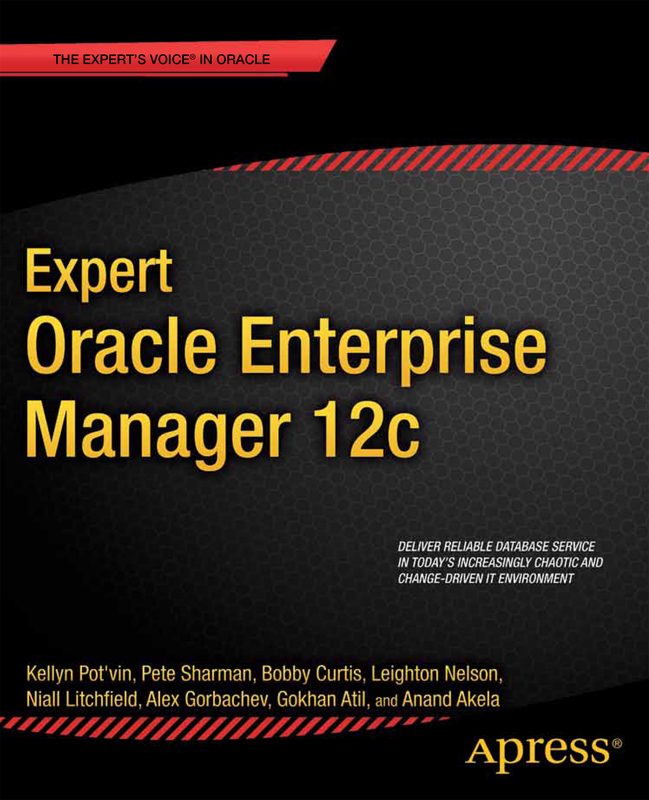 Bobby is one of eight co-authors, along with Kellyn Pot’vin, Anand Akela, Gokhan Atil, Alex Gorbachev, Niall Litchfield, Leighton Nelson and Pete Sharman, who collaborated to bring real world experiences with Oracle Enterprise Manager 12c together into a single book. Expert Oracle Enterprise Manager 12c covers all the topic areas which help you to use this Oracle enterprise product in your everyday working environment. This book is published by Apress and can be found on Amazon and Barnes and Noble (ISBN 978-1-4302-4938-2). 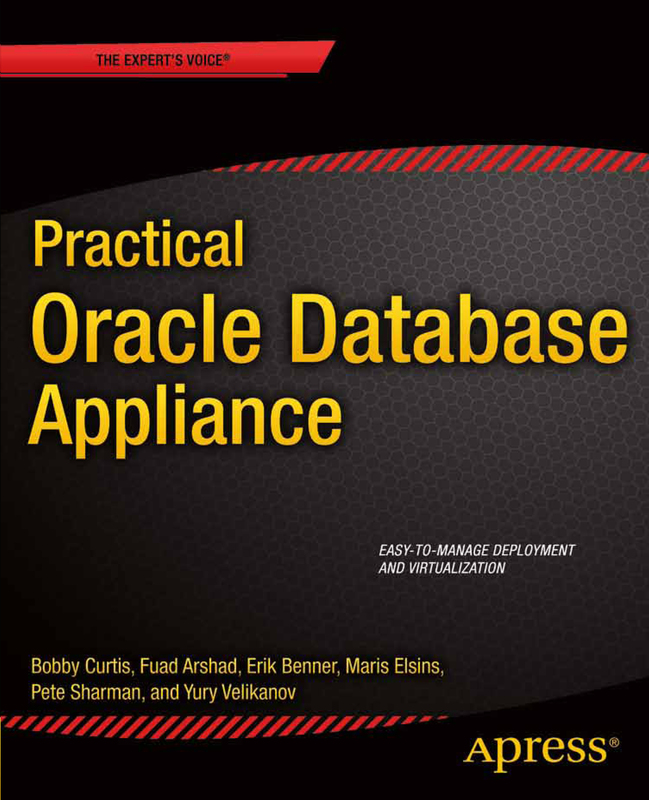 Bobby was the lead author and one of seven authors, including Fuad Arshad, Erik Benner, Maris Elsins, Pete Sharman, Yury Velikanov and Matthew Galligar; who collaborated to bring real world Oracle Database Appliance knowledge into a single book. Practical Oracle Database Appliance covers the basics and how you can implement this great engineered system into your enterprise. This book is published by Apress and can be found on Amazon and Barnes and Noble (ISBN 978-1-4302-6265-7). Bobby was one of three authors, including Michelle Malcher and Chris Lawless; who collaborated to bring different approaches of data integration knowledge into a single book. 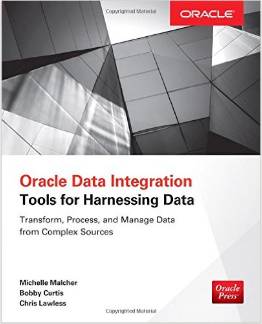 Oracle Data Integration – Tools for Harnessing Data covers the basics and how you can transform data into any environment. This book is published by OraclePress and can be found on Amazon (ISBN 978-0071841658). Bobby is the only author on this release from Apress. 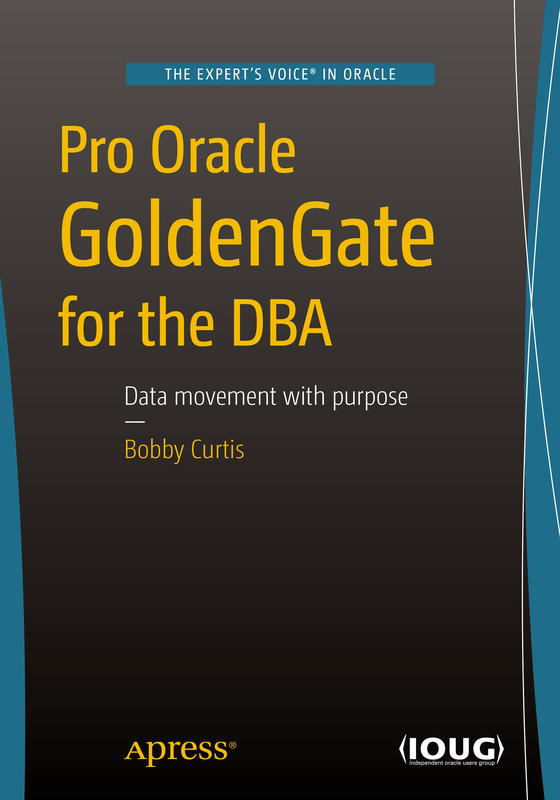 Pro Oracle GoldenGate for the DBA covers the basics of Oracle GoldenGate and provides some insight into the different components of this simple yet complex replication tool. This is a book for everyone, novice to expert. This book is published by Apress and can be found on Amazon (ISBN978-1-484211-80-9).